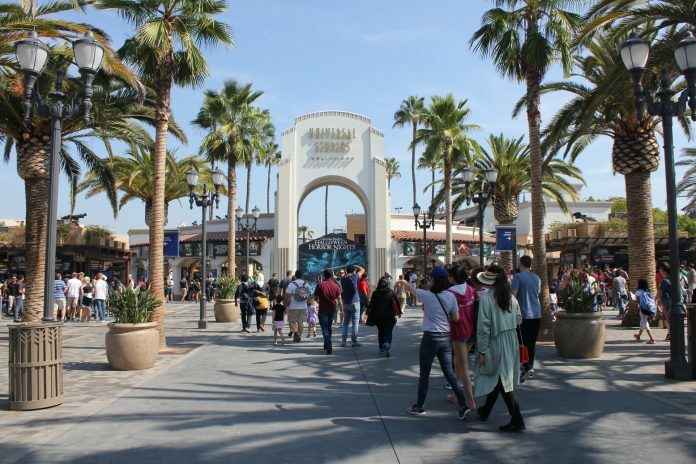 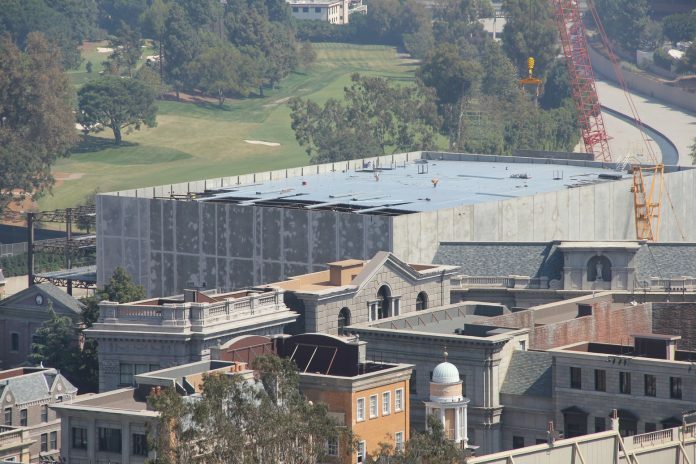 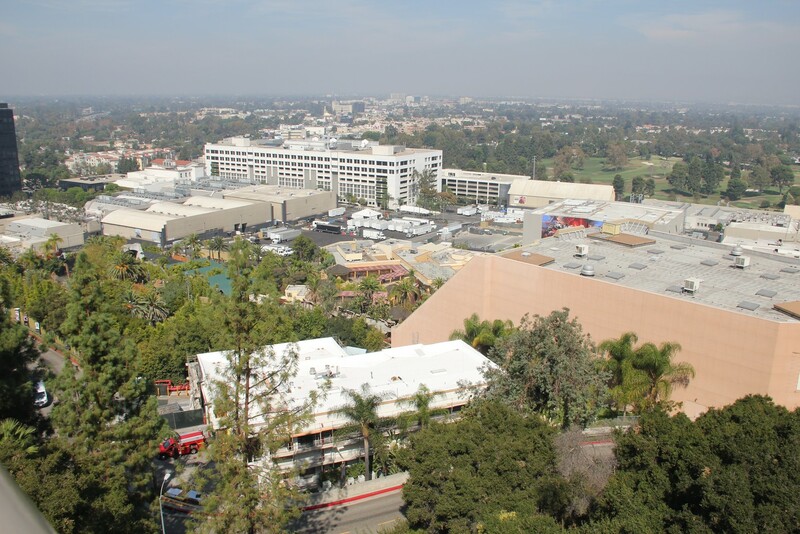 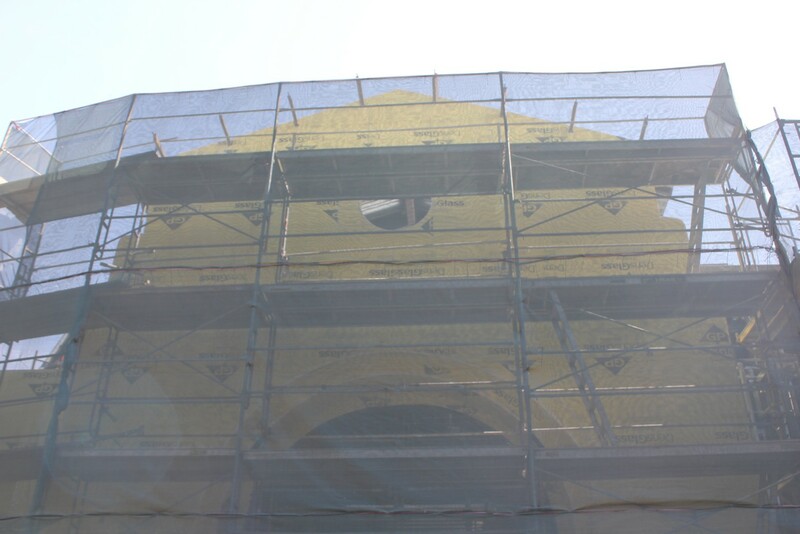 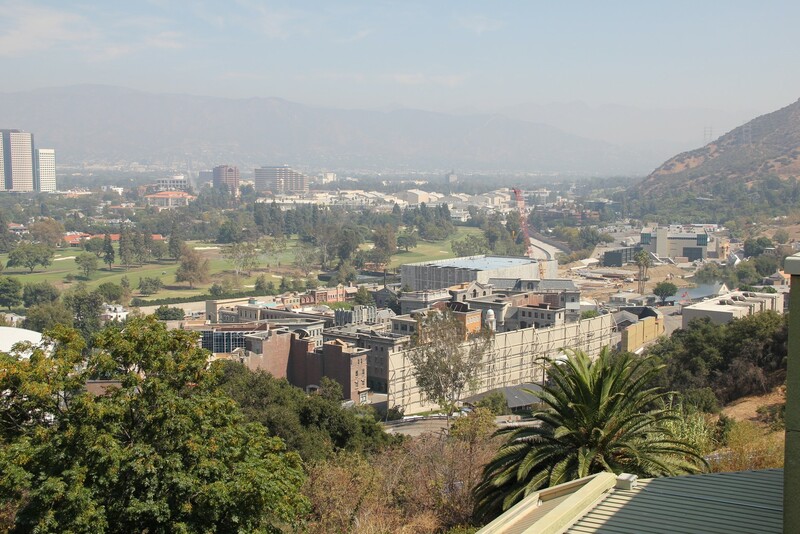 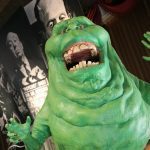 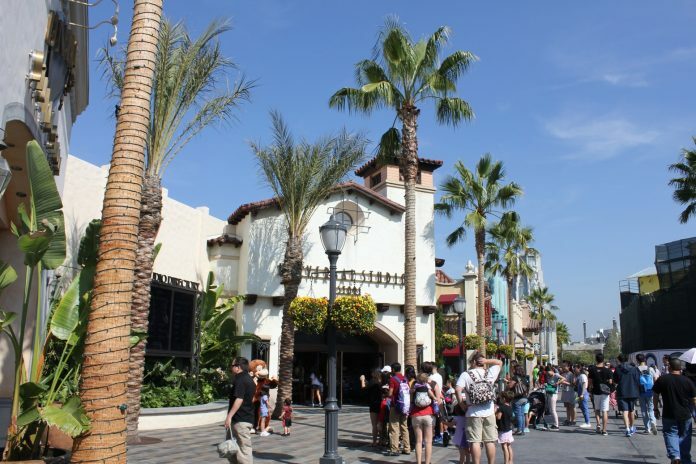 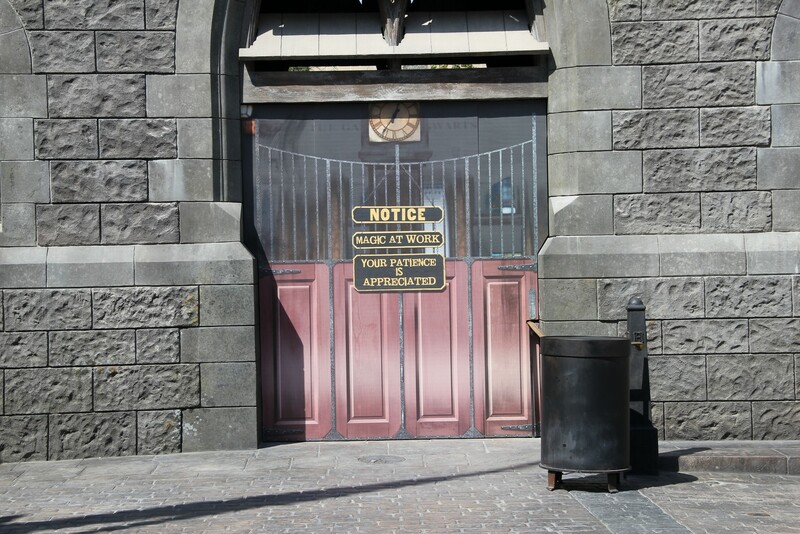 We’re back for this month’s photo update at Universal Studios Hollywood. 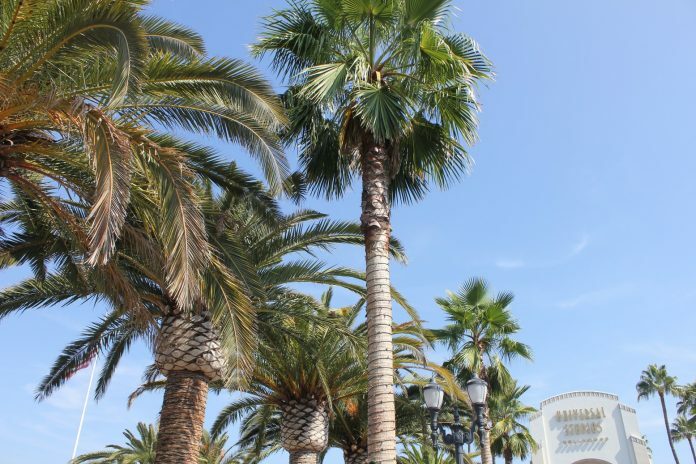 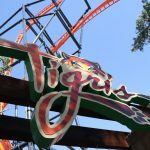 In this update, we’ll be looking at several closures in CityWalk, Studio expansion and Christmas is coming early this year. 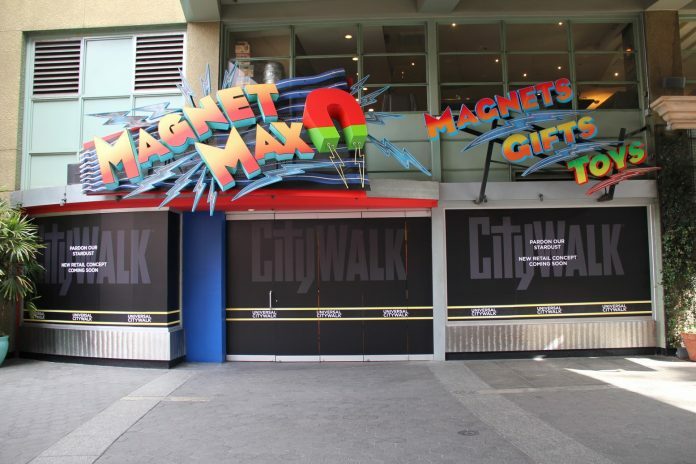 Upstart Crow and Magnet Max have both closed inside CityWalk Hollywood. Both shops were some of the longer-tenured stores in the entertainment district. 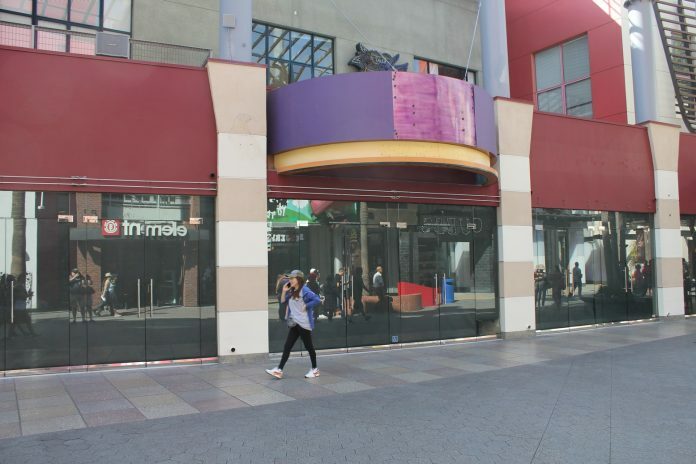 Rumors are circulating that Sephora will be moving into the Upstart Crow location, but no rumors at this time as to what will replace Magnet Max. 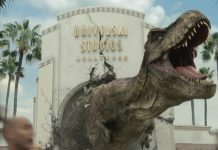 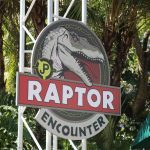 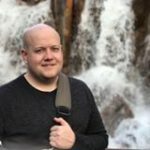 As we posted last week, Universal announced some new offerings in their re-branded holiday offerings – Holidays at Universal Studios Hollywood. 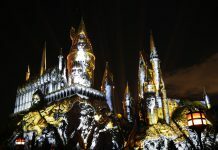 Be sure to check out our article detailing the new options, including Christmas in the Wizarding World. 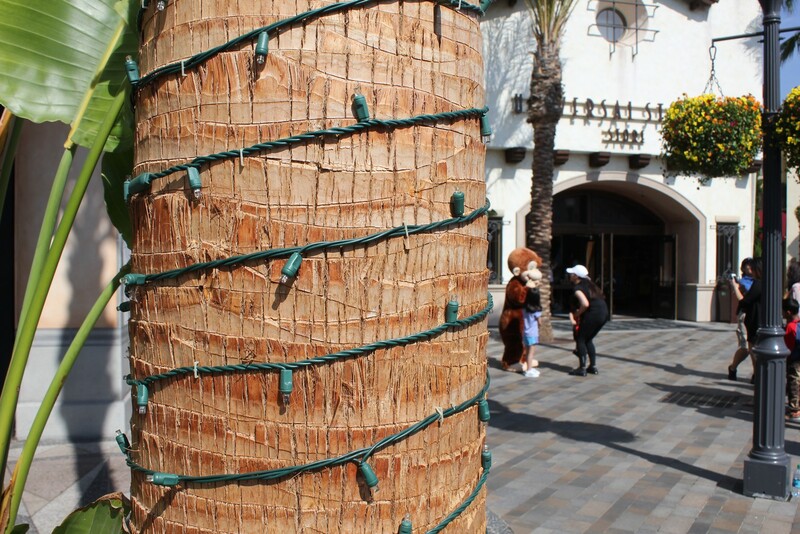 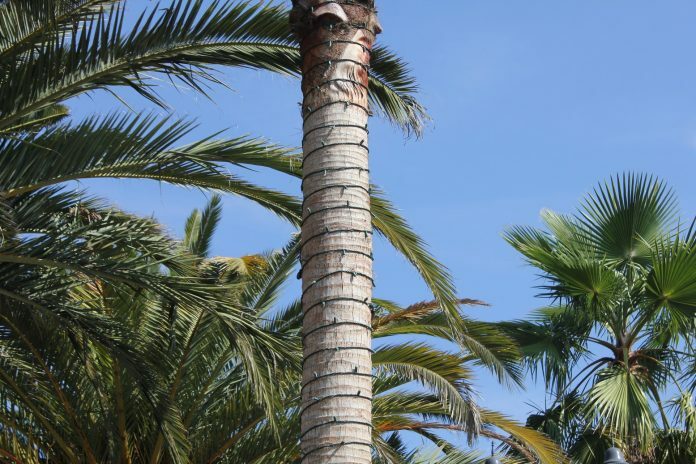 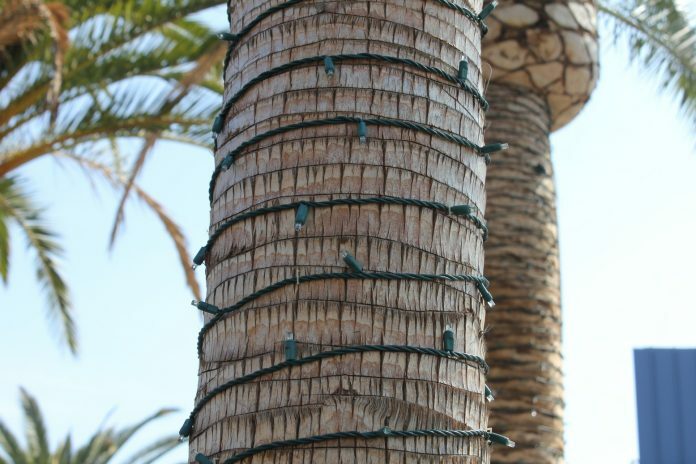 Since the event begins November 24, Universal is well underway preparing for the holiday event as lighting has begun to appear on trees near the main entrance as well as on Universal Boulevard. 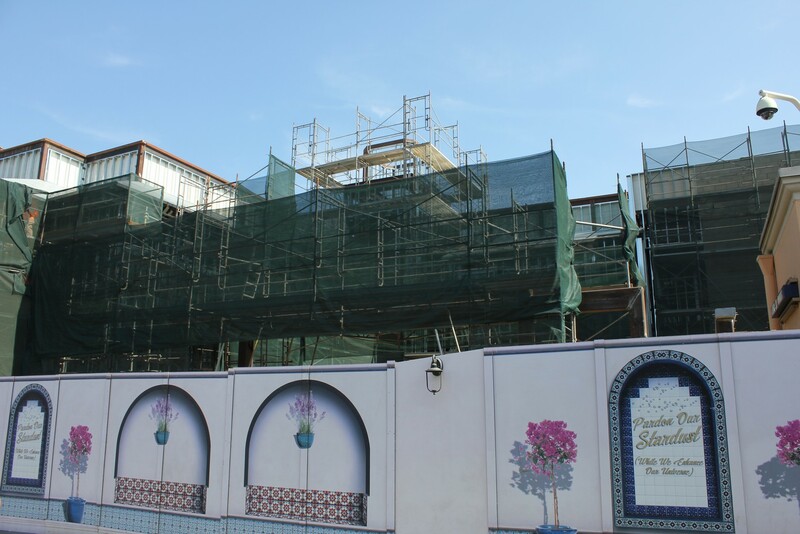 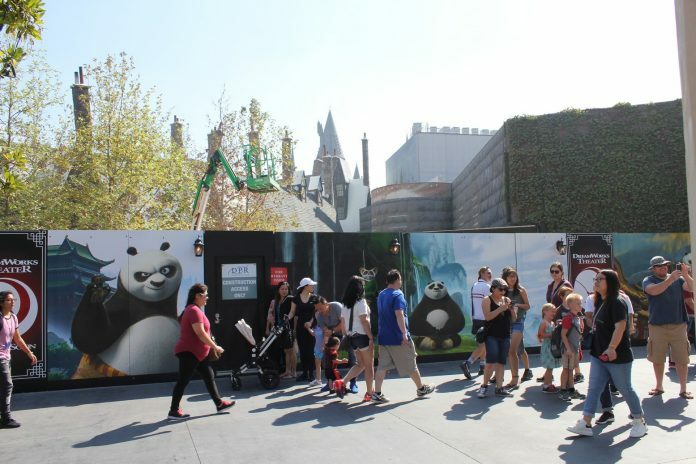 The new Animation Studio Store is moving along quite quickly, as the new venue will hold many different options that the park has needed for quite some time. 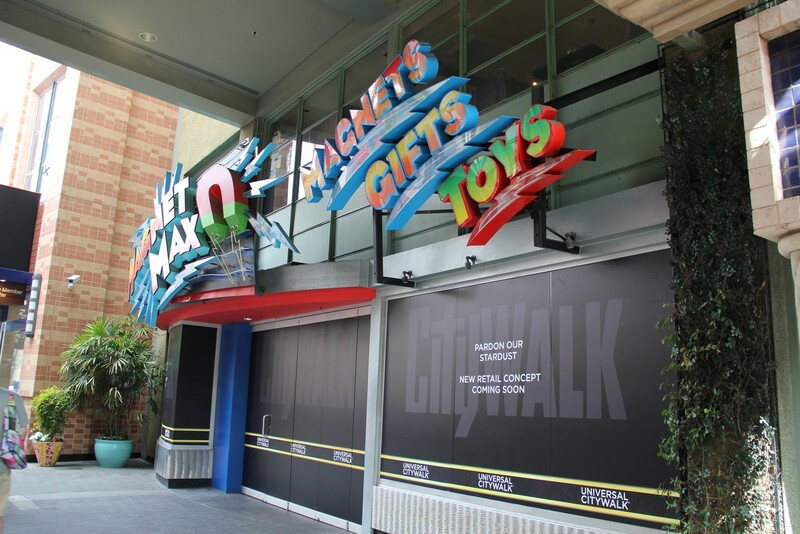 The new venue will hold a store similar to the former tenant, a Hello Kitty store – along with a meet and greet, a mini warehouse, security offices and the park’s first family center. 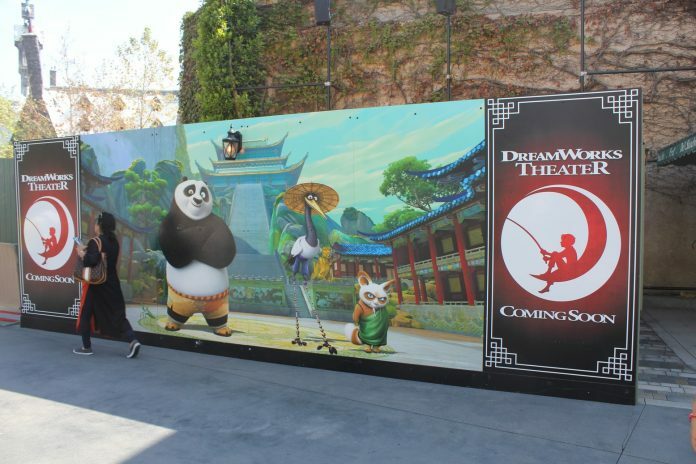 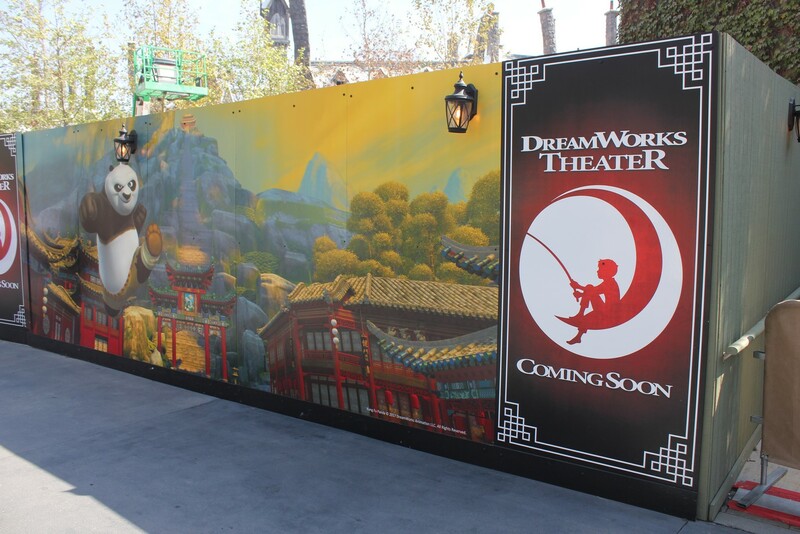 New wall artwork has appeared out front of the DreamWorks Theater. Word on the street is that the entire building has been gutted to be more ADA compliant. 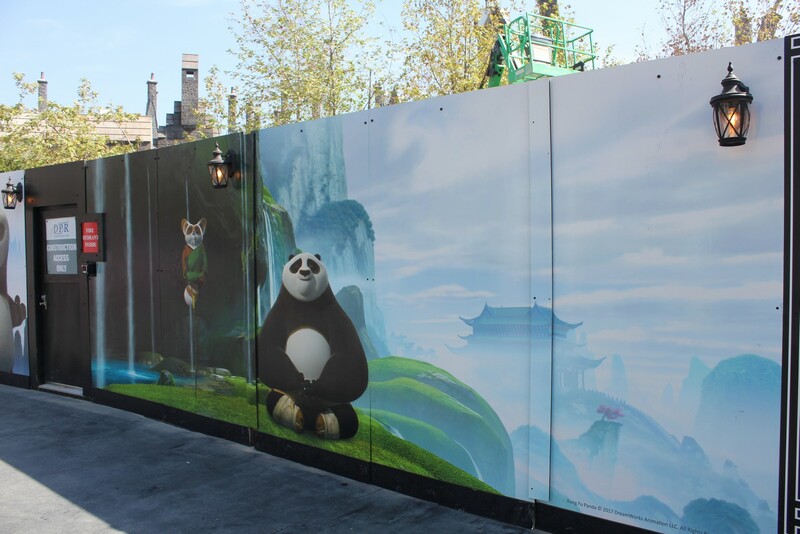 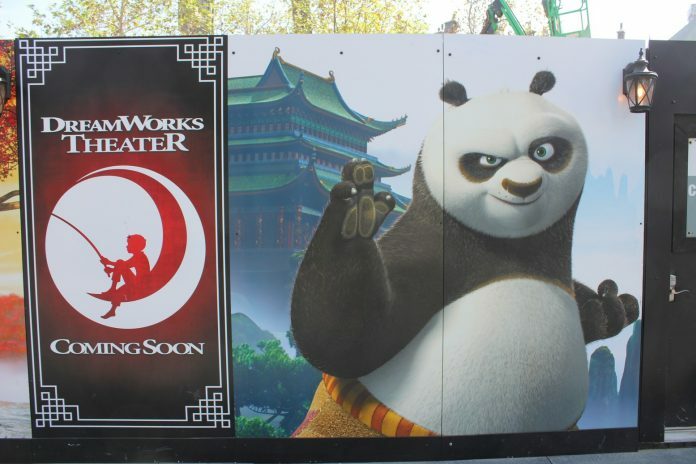 The new theater will open with a Kung Fu Panda Experience in 2018. 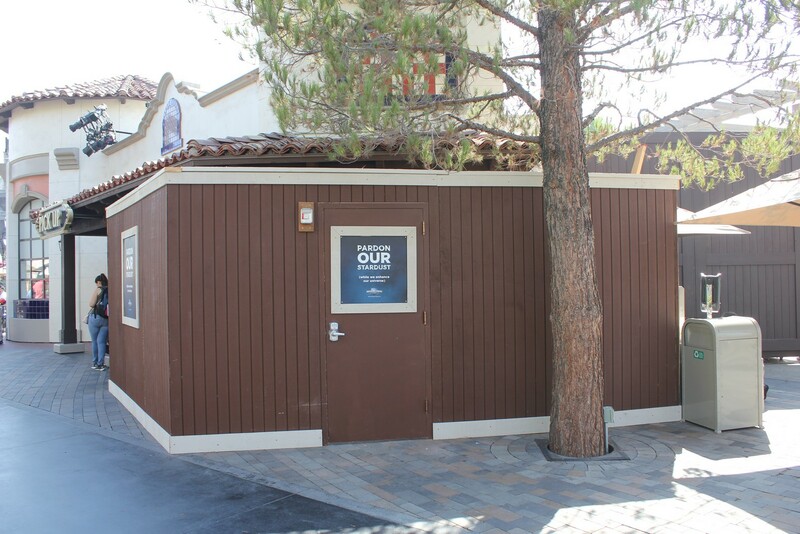 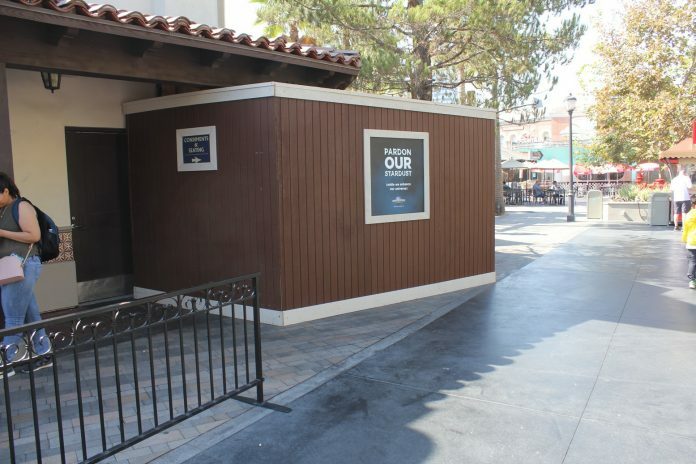 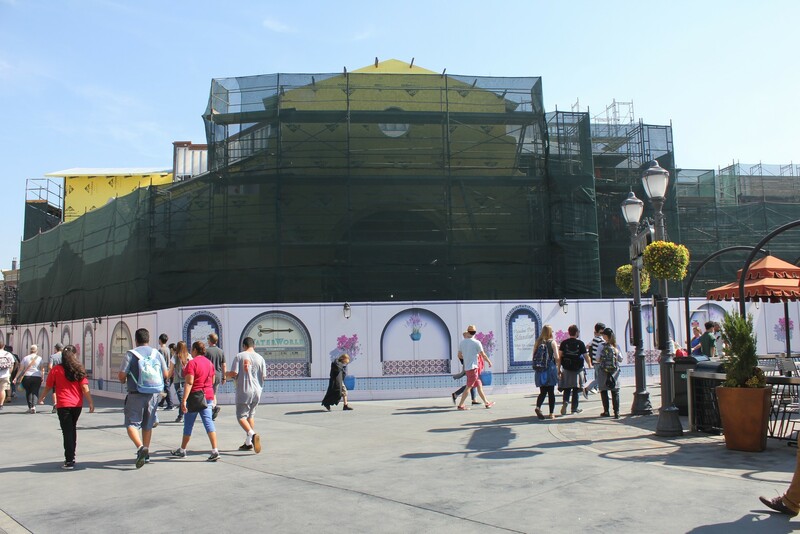 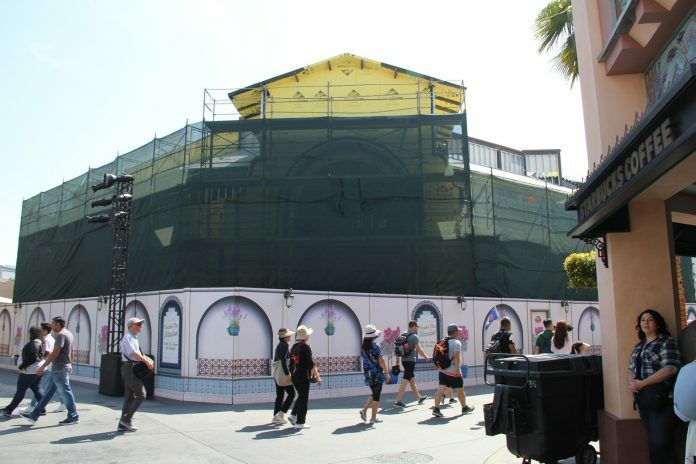 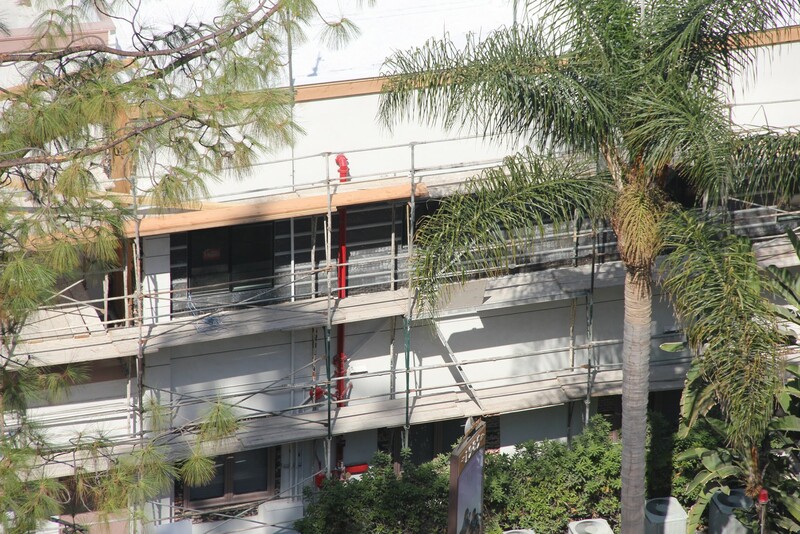 The condiment location for the Plaza Grill is behind walls, no word on the specific reason as to why. 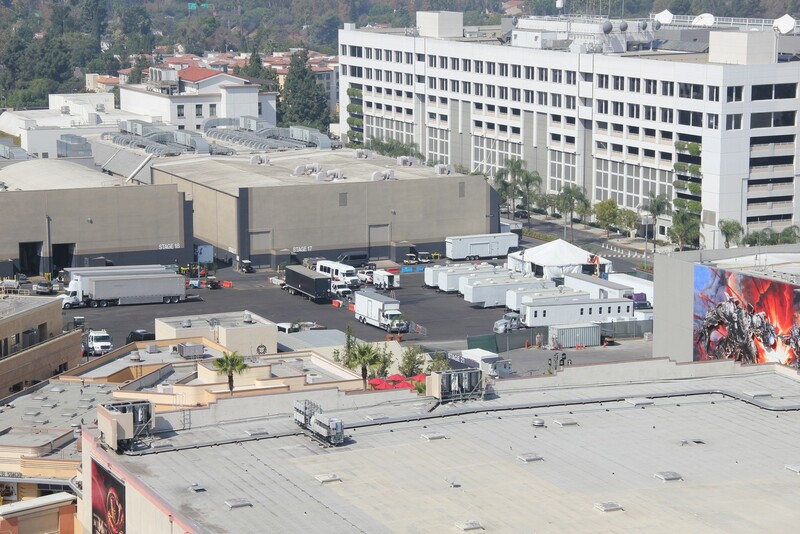 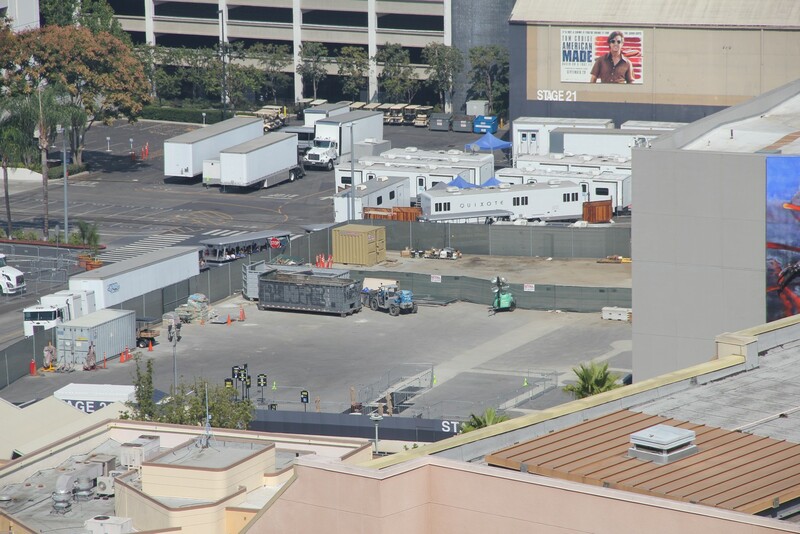 Still no movement on the Lower Lot expansion as 22-25 and 28 continue to sit for Studio trucks. 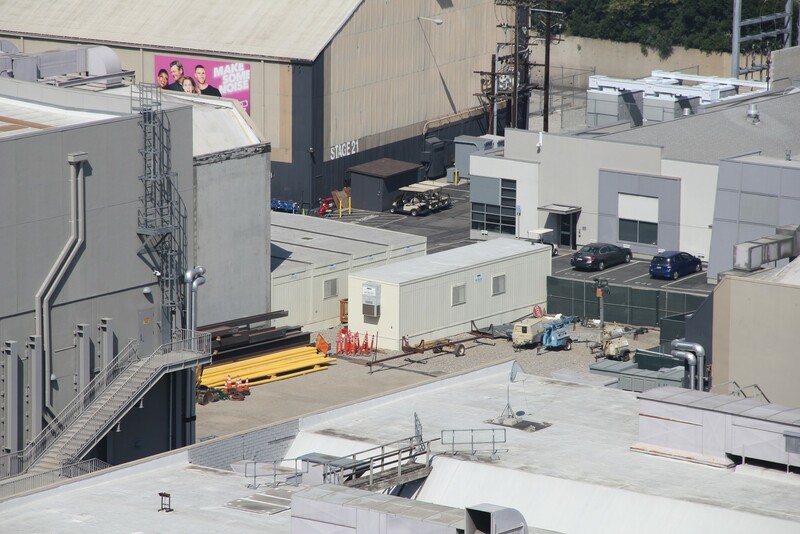 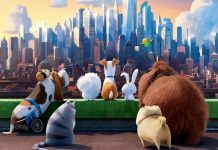 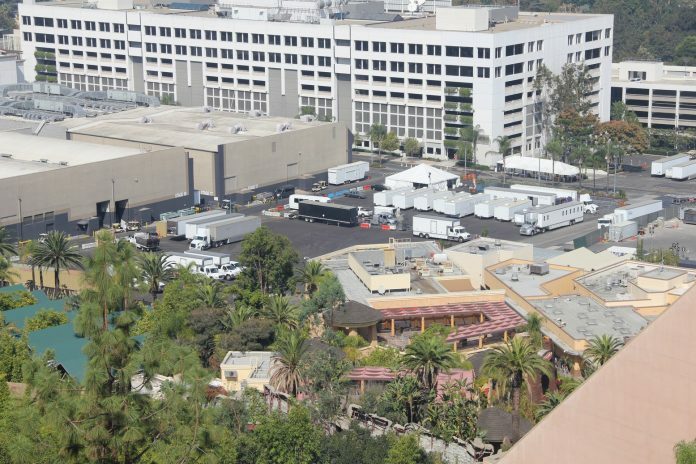 The former plot of 22-25 is listed in the Studio Lot website as designated for P168 which is the project number for the rumored Secret Life of Pets attraction. 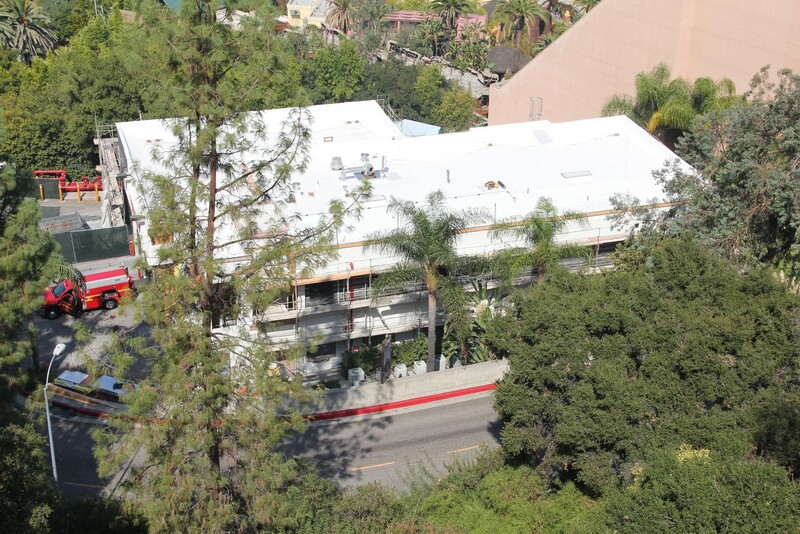 28 has a building designated for it, but it is not known at the moment what will be placed there. 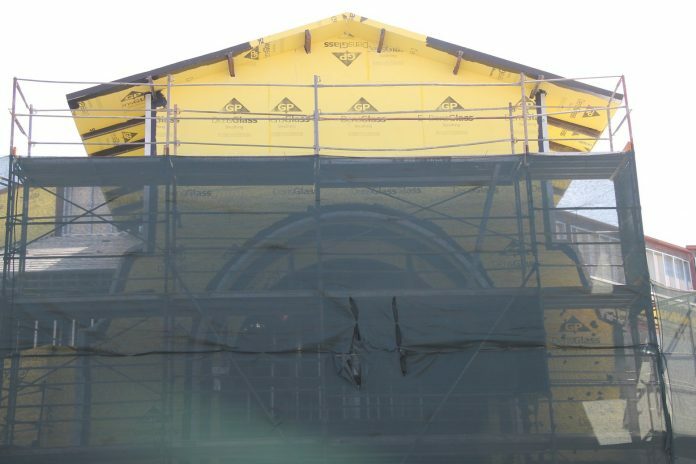 Fire Station 51 is moving closer towards its completion. 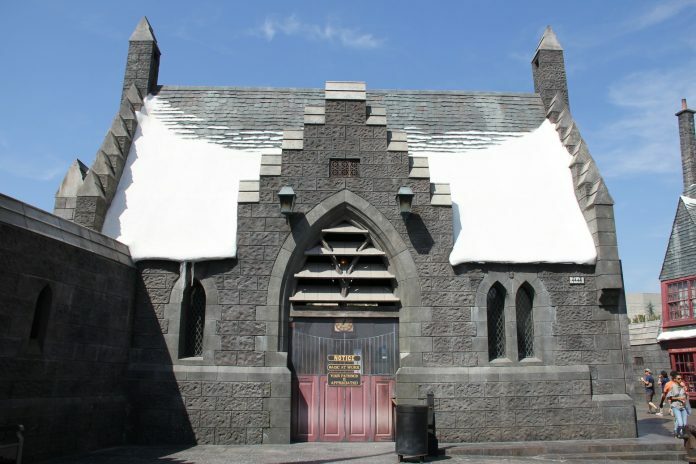 With the massive studio and theme park expansion, it became necessary to expand the current fire station. 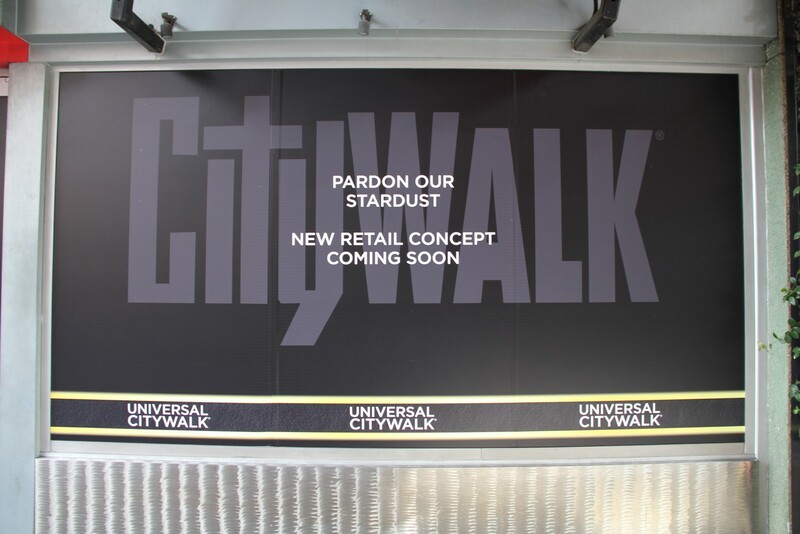 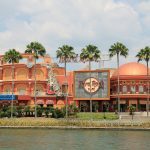 Now that they expansion of the StarWay has been completed, Universal is moving forward in completely redoing the existing ones. 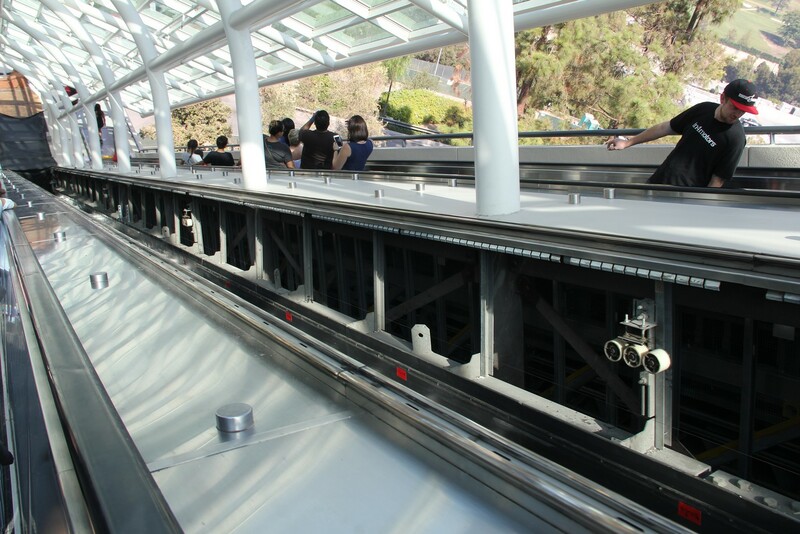 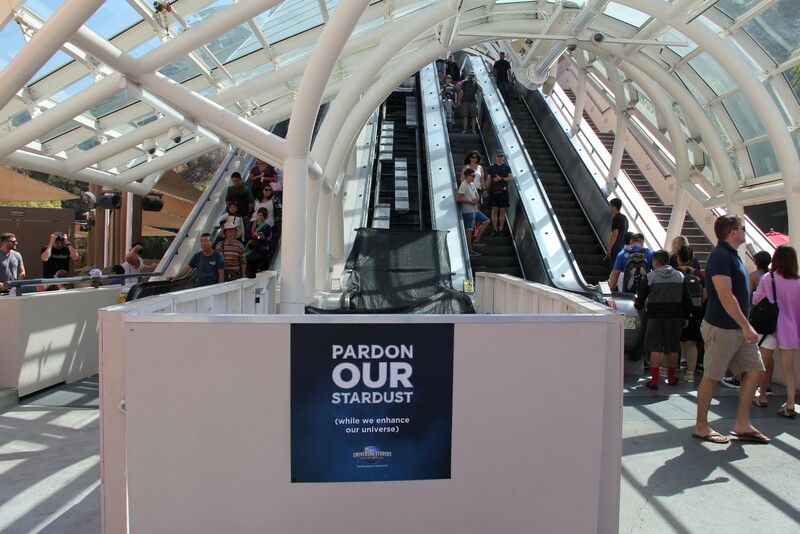 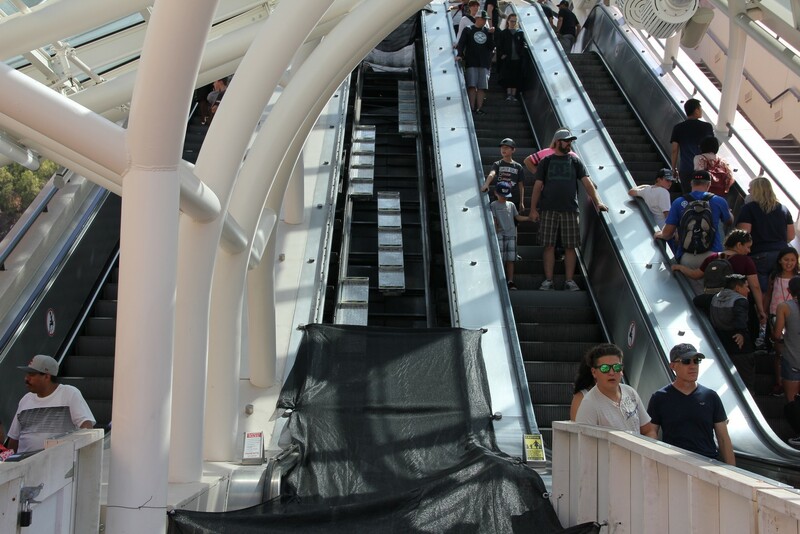 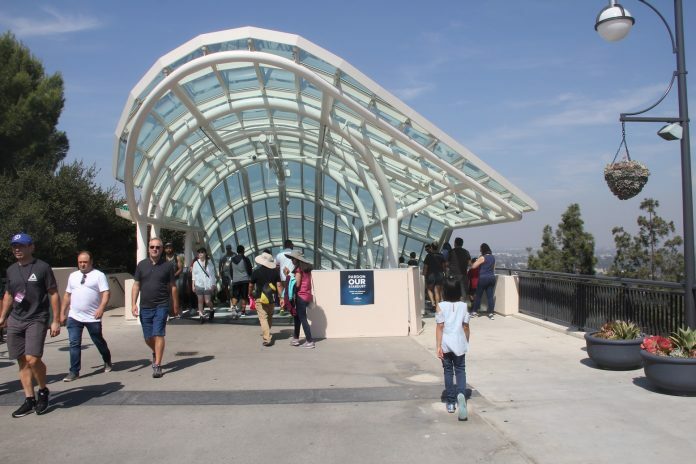 Each set of escalators will have its guts removed and replaced with the inner workings of the new escalators. 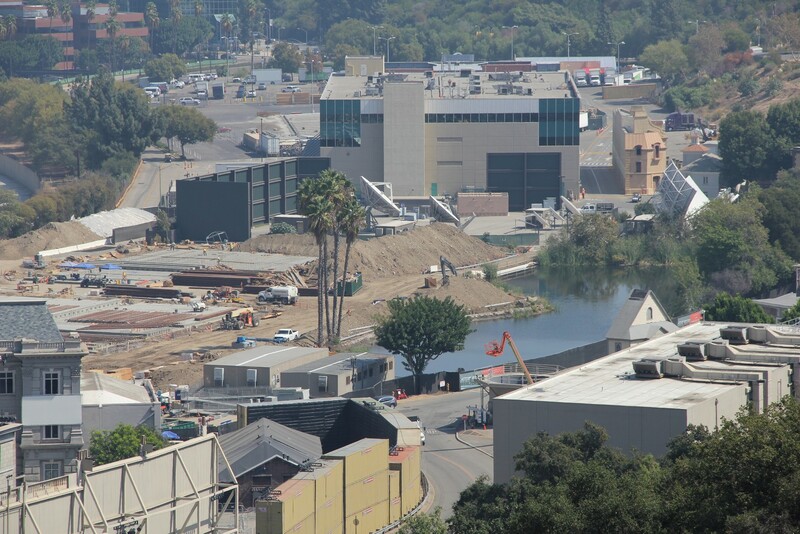 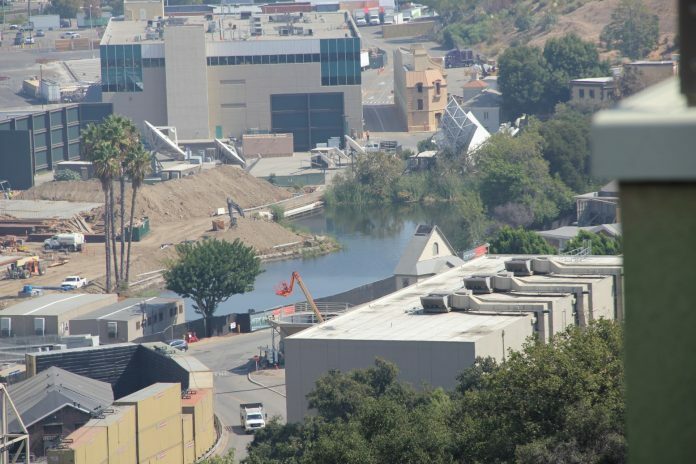 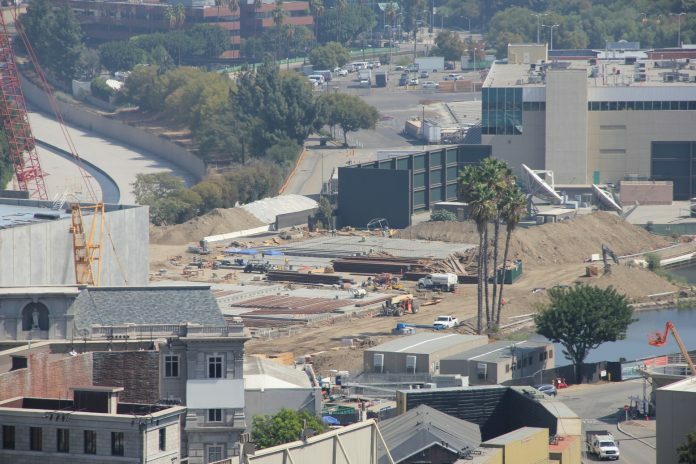 The new stages over by Park Lake are beginning to rise. 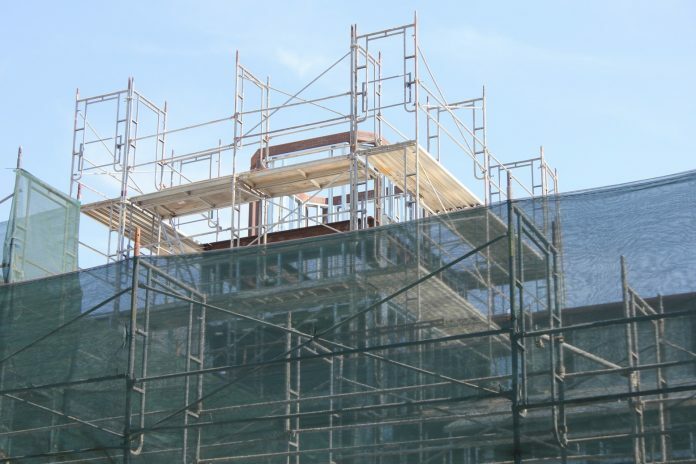 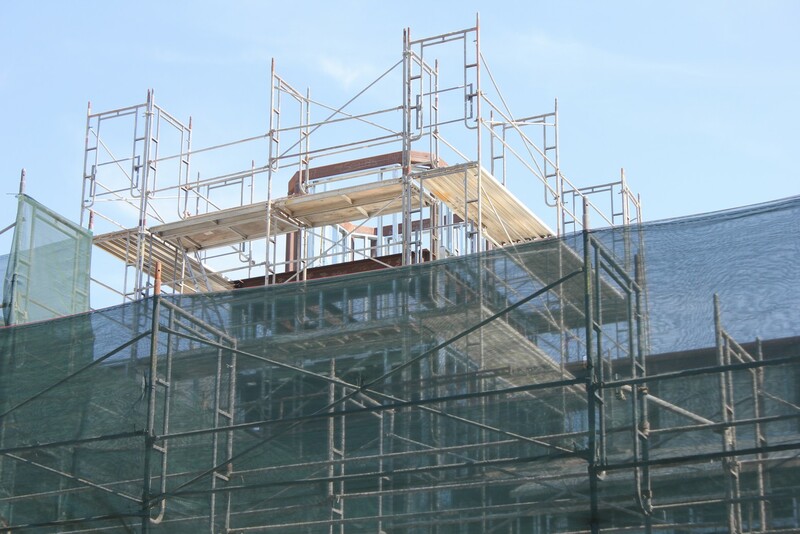 One building is having its roof placed while two more plots are having the flooring set before the walls go up. 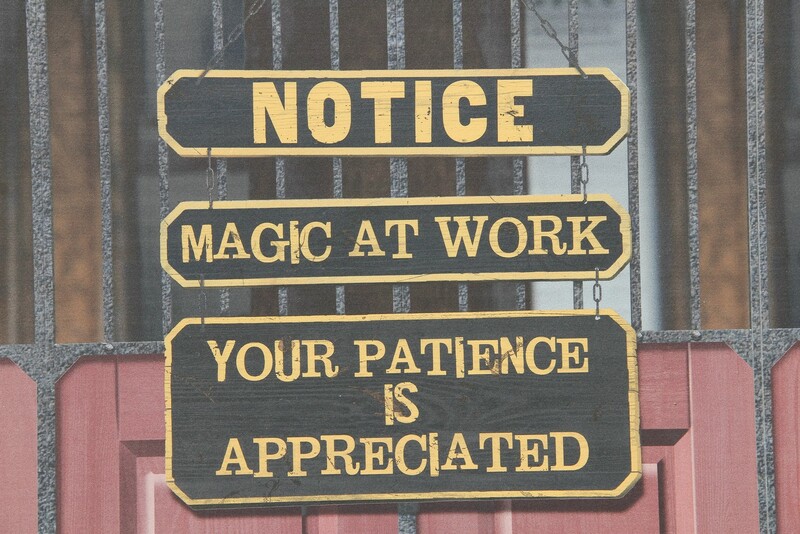 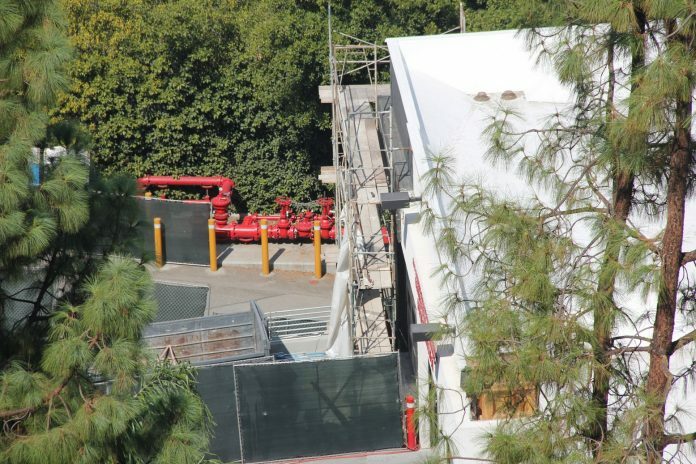 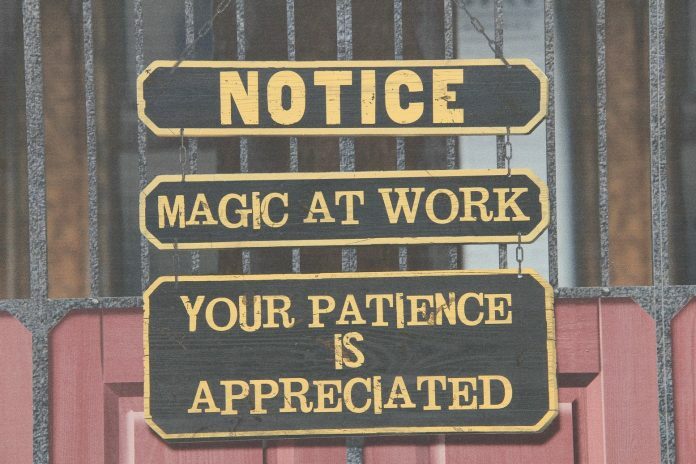 These are important for the expansion of the Lower Lot. 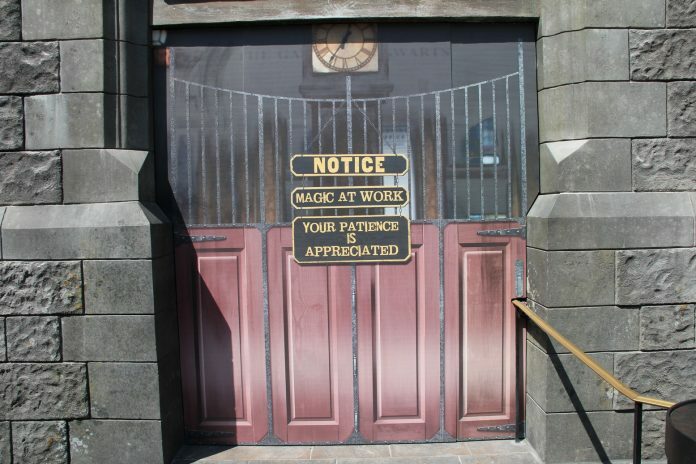 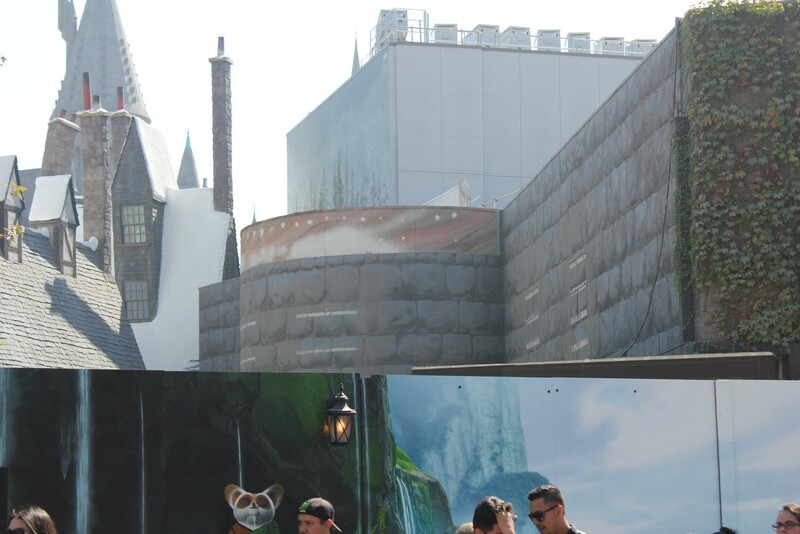 The Hogwarts Express up-charge photo op has closed as Universal installs a new store. 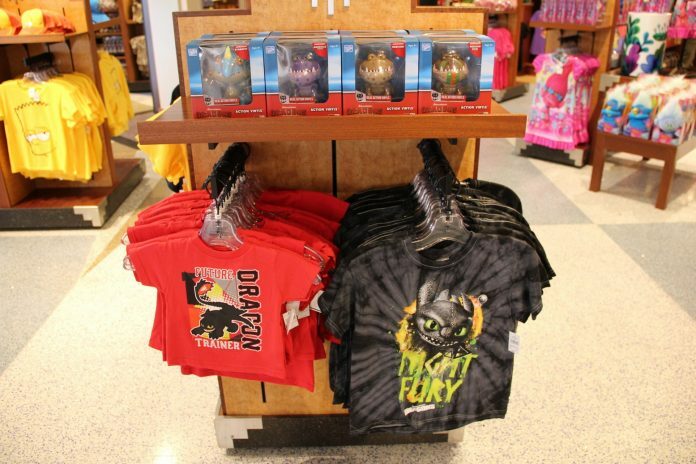 And lastly, DreamWorks merchandise has begun to pop up inside the Universal Studio Store.